The three-way stop valve is used to control the fluid in water, steam, oil and chemical solvent pipelines; the three-way stop valve body is three-channel, and the valve body structure can also be changed into four-channel; the three-way stop valve can Replacing a three-way joint and three ordinary shut-off valves in the pipeline will act as a shunt and confluence, and will improve the sealing performance of the valve, prolong its service life, prevent [three leaks" and reduce the cost of pipeline facilities. 1, has a strong bactericidal, detoxification function to prevent product contamination. 2. The gasket is made of high temperature resistant PTFE composite material. 3, seals, valve body seals, stem packing are all made of high quality PTFE material. Long life, corrosion resistance, to ensure no internal and external leakage. 4, streamlined flow path, making the pressure loss. 5, seals can be replaced, removal is more convenient, low maintenance costs. 9, the use of a wide range, not only to replace the vaccination station three-way diaphragm valve, but also can be widely used in raw material medicine workshop crystal cans and other process pipelines, the effect is good. Looking for ideal Steel Globe Valve Manufacturer & supplier ? We have a wide selection at great prices to help you get creative. 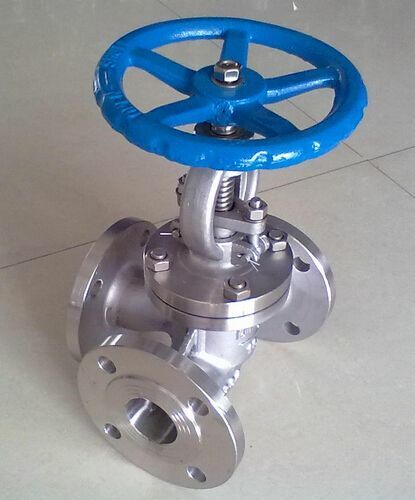 All the Three Way Globe Valve are quality guaranteed. We are China Origin Factory of WCB Three Way Globe Valve. If you have any question, please feel free to contact us.